How Can Public-Private Partnerships Achieve Sustainable Change? We've just witnessed the member countries of the U.N. agree to 17 Global Goals that will, all going well, transform our world by 2030. 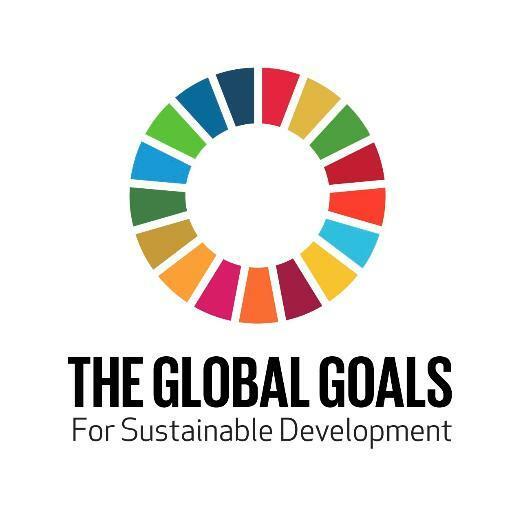 These Sustainable Development Goals (SDGs) have three ambitious aims over the next 15 years: end extreme poverty; fight inequality and injustice; and fix climate change. They will replace the Millennium Development Goals and will be measured by 169 indicators. The hope is that these goals and indicators will frame national policies and agendas, starting now. Knorr has set up an inclusive business model, “Gbemiga,” with several partners, such as the Global Alliance for Improved Nutrition (GAIN) and the Growing Business Foundation and Society for Family Health (SFH). By working together, they are able to improve living standards by training women to sell nutritious products and simultaneously reinforce the dietary changes that can help reduce the prevalence of iron deficiency in families across the country -- and Unilever has successfully fortified its bouillon cubes with Iron. Another example is the practice of handwashing with soap. Both pneumonia and diarrhea (and the deaths they cause) can largely be prevented by this simple hygiene routine. This is where another of Unilever’s brands, Lifebuoy, can have a real impact ensuring that we make soap available, accessible and affordable and embedding habit-building into our marketing strategies. By working with NGOs and governments to embed these practices into health and education systems, we are able to reach more mothers and save more newborn lives. Lifebuoy has recently renewed its partnership with USAID, expanding its hygiene education program to reach pregnant women and new mothers across Kenya. The combination of Lifebuoy’s behavior-change expertise and USAID’s ability to deploy programs at scale, in the areas where help is most needed, is a positive example of the power of collaboration and the public-private partnership approach. These kinds of innovative partnerships help scale up programs, reaching more people much faster. Working with its partners, Lifebuoy’s programs have managed to reach 257 million people in 24 countries, making it the world’s largest hygiene behavior-change initiative. With NGO teams on the ground, government infrastructure support and the private sector’s behavior-change expertise, together with its distribution networks, it is a ‘win-win-win’ solution for the people who are most in need. As we await the final agreement of the SDG indicators, and contemplate the work that will need to be done by all parties to achieve them in just 15 years, the role that public-private partnerships can play becomes more important than ever. Innovative ideas and market expertise will, I believe, play a crucial role in achieving these ambitious goals. Without them the challenges ahead of us will be even more daunting. Dr Myriam Sidibe is one of the world’s leading experts of brands that drive health outcomes through behavioural change. From within Unilever, she has created a movement to change the handwashing behaviours of one billion people, the single biggest hygiene behaviour change programme in the world, and conceived and established the UN recognised Global Handwashing Day – now celebrated in 53 countries. Myriam’s approach to pushing boundaries and challenging the status quo has been pivotal to leading a paradigm shift in the way public private partnerships for health are managed and funded. They have also been replicated across Unilever as best practice examples for other brands looking to positively impact the world while driving market share. Myriam is a Commissioner for the Lancet for the future of health in Africa, an honorary lecturer from the London School of Hygiene and Tropical Medicine and is a Ted speaker.